I approached Greenwich Libraries Service with a project proposal for one-day workshops as part of their programme for British Science Week 2018. I suggested an App Design Workshop in which participants work in a group to design to a brief. To design a digital product (an app or a website) to help young people learn. Research: Understand existing apps that young people use to help them study. Conduct user interviews to gain an insight into what users habits. Design: Participants will define their research by sketching and designing the ‘user journey’ that user will have through the use of their product. Deliver: Each team will present to the group, the key findings from their research and a walk through of the prototype they will build. Each participant conducted a user interviews with their peers to understand how teenagers study. They created an Ideas Map to explore the themes from their research. 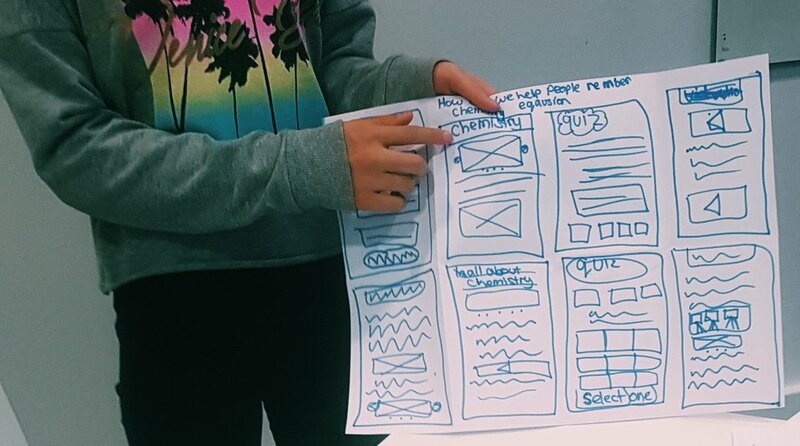 I introduced the group to techniques and methods of sketching used in the industry which they used to generate lots of ideas quickly for wireframes. Team App-le’s Sketches: the team discovered that teenagers like to learn through games, they included that into the design of their screens. After two rounds of sketching the teams designed the final screens of their App, which is a ‘mash-up’ of the designs from each team member. Team Simply Study’s final sketches: above is a mash-up of sketches from each team member. They discovered through research that teenager like websites to learn from but they trust the information in textbooks more. Participants put their sketched designs on computer and made an interactive prototype using MarvelApp. Team MyMaths: Designing an interactive prototype based on the designs they sketched as a team. 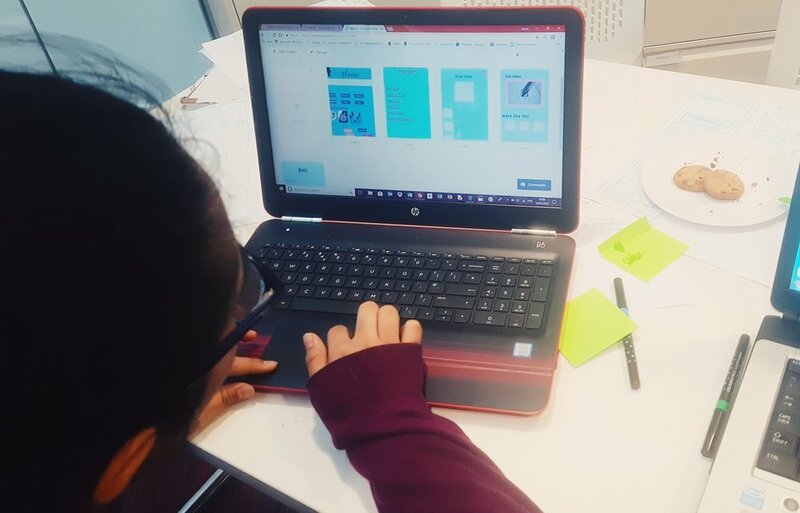 Each group designed a slide deck of how they interviewed users, designed screens by sketching and created an interactive prototype. Finally they presented their findings back to the group, building up their confidence of public speaking. They received constructive feedback from the instructional team about their app and presentation. Team MyMaths and Simple Study’s presentation deck slides. Over the two weeks there were 18 participants who took part in the workshops. What is your main takeaway from the course? "I will take away public speaking and group work." "How User Experience matter a lot!" "Learning how to make a prototype of an app." work together and get a new skill of team work." "Yes, I would as it was really interesting, I got to try lots of new things." How did you find your Instructor? Teaching style and ability to explain new ideas to you. but challenged us to work hard. She kept us motivated." "I liked her as she was nice and funny and checked up on us to make sure we knew what we were doing." "I found her exciting! She was a good teacher."